The news comes as Global CEO Sean Lyons candidly lays out the challenges ahead. R/GA has introduced a new strategic leadership team with the elevation of three executives. Saneel Radia will take on the role of global chief innovation officer, while Jess Greenwood and Tom Morton have been named U.S. chief strategy officers. "We’ve been investing in our consulting and strategic talent heavily for the past several years," explained R/GA’s global CEO Sean Lyons. "As a result we’ve grown these areas of R/GA, and these elevations are proof of their success. 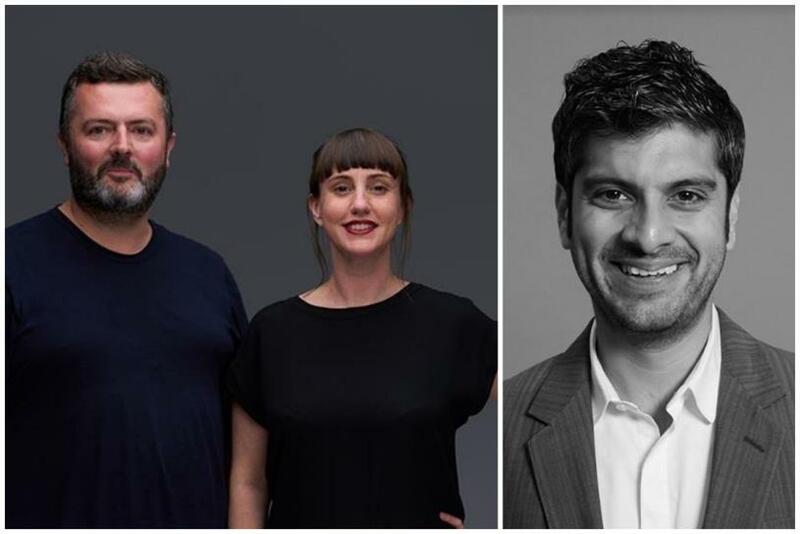 "In a time of massive change for agencies and clients, Saneel, Tom and Jess have built incredible teams and most importantly led work that has measurably grown our clients’ businesses. These new roles give them more opportunities to do this." Radia has been tasked with helping companies drive growth through corporate innovation strategies that combine brand assets and emerging technology. Since joining R/GA as head of business transformation in 2016, Radia has grown the practice globally, doubling its revenue every year. The chief strategy duo will spearhead collaboration between R/GA’s strategy, marketing science, and media practices in the U.S. to inspire more transformative marketing and experiences. Over the past three years, Morton and Greenwood have redesigned R/GA’s strategy practice for the new age of brand building, adding new talent and approaches to provide brands with broader advice on how to thrive in the connected world. They will lead an extended team of more than 100 strategists across six U.S. offices who collaborate with marketing scientists, connections planners, and influencer strategists in custom "Strat Packs." These are the first executive promotions under Lyons, who recently assumed the global CEO role. "Fragmentation in our industry is a challenge, but also an opportunity," Lyons said of the hurdles ahead. "Clients have so many options today that it’s clear there is an oversupply. "As a client it can be bewildering to design a comprehensive solution that works for your company. There are a lot of promises that companies make to their clients regarding how broad their services are and how connected their network and talent is. Our depth and range of talent, the fact that we built our network organically and have a creatively-driven, collaborative culture is our true advantage." He also spoke of the challenges in building a more diverse and inclusive culture at R/GA. Lyons continued: "Truly creating a diverse and inclusive environment is something I’m personally committed to. The commitment has to be embedded into the business. It can’t be a series of initiatives. It has to be a mindset. "For R/GA, this means increasing the diversity of our staff at all ranks, and to providing mentorship and training opportunities to ensure that we’re not just hiring, but developing future talent." "The biggest challenge is at the senior most levels. There is far more we can do and far more the industry as a whole can do. I particularly appreciate when we tackle these challenges with our clients, like we’ve done with Diego Scotti at Verizon, and all of our agency partners." Lyons said to brace for more integrations and collaborations between clients and R/GA Ventures companies to create new brands and products. He added: "Our commitment to change is the one constant. Our commitment to evolve our model separates us from others. Our model is built and validated by the work we do for clients. We have some really strong work in development, work that spans everything from innovation consulting and product development to a more data-driven approach to storytelling."